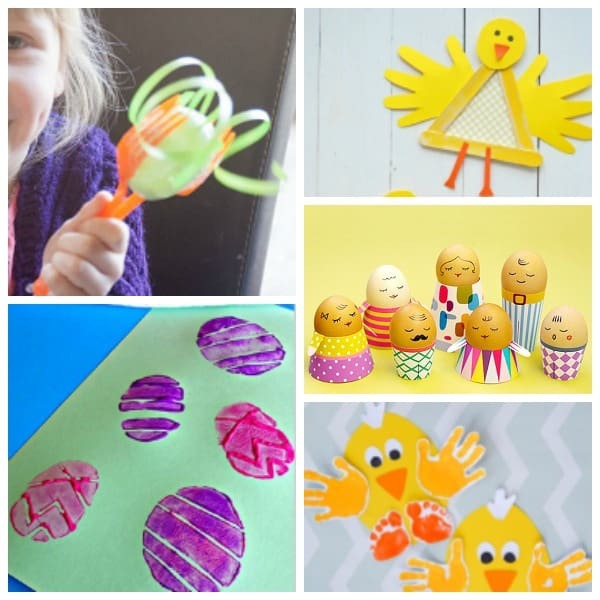 With Easter almost here it’s an ideal time to do some quick and easy Easter Crafts with your kids. From when they were toddlers crafting with my kids was one of our favourite activities, I didn’t find it easy to get down and play as felt that I was taking over all of the time so crafting was something that we could do together. Some of these crafts need a little more help than others – but that provides an ideal activity to spend quality time together as you make something that you can treasure either for just this Easter or keep and bring out year after year. 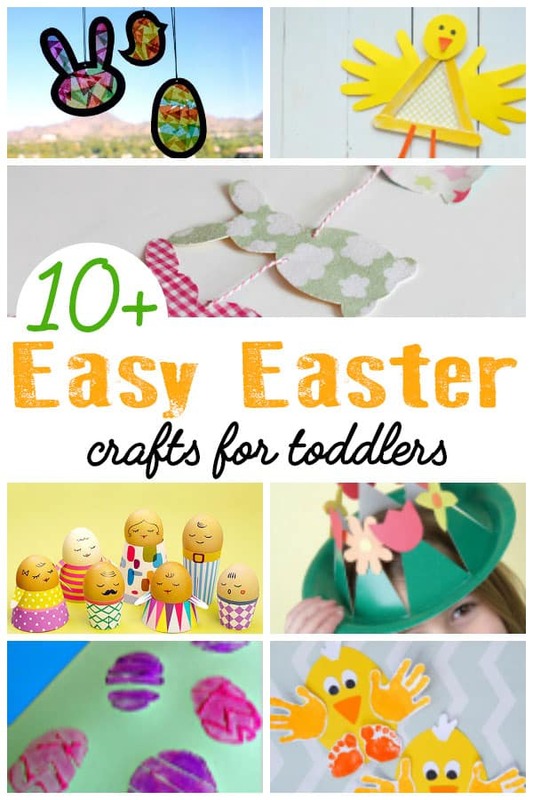 So without further ado here are some Easy Easter Crafts for Toddlers and you to make together. 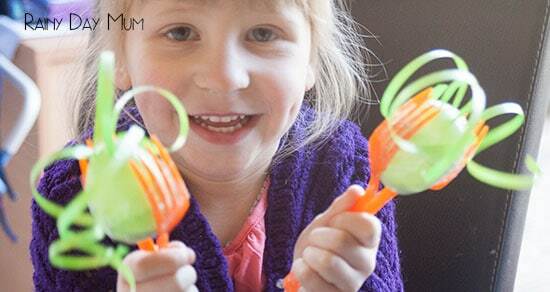 Why not try out Easter Maracas perfect for some crafting and then musical fun for kids. This easy paper Easter wreath from The Resourceful Mama is a lovely little cutting and sticking activity that would look great hanging on your door to celebrate Easter. If you have any scraps of material or even old baby sleepsuits/rompers/footie pajamas then this Funky Bunny Garland from Le Coin de Mel is great to make and would look fantastic hanging in the home. These Easter Suncatchers would look beautiful hanging from a window you can find full instructions over on Everyday Dish including the templates to download, print and cut out. Craft Stick or popsicle sticks were really popular with my kids over the Christmas season so these Popsicle Stick Baby Chicks from Make and Takes are sure to be a hit. My kids love drawing Easter Eggs this time of the year but used to get really frustrated that their ends never met (yes they have my perfectionist gene) but these potato stamped Easter Eggs from Crafty Morning would be ideal and using them would be a quick and easy way to create bunting or even Easter cards for everyone. 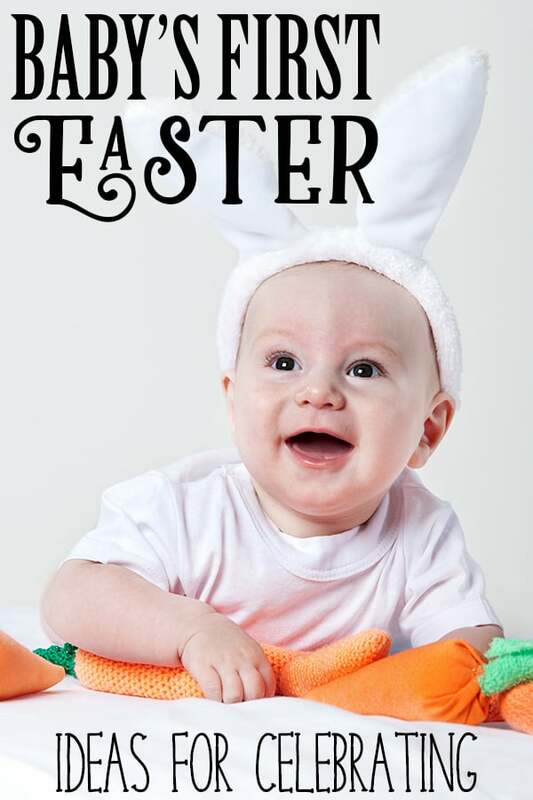 Do you have a baby as well then check out our Ideas for Celebrating Baby’s First Easter which includes suggestions for crafts, activities and gifts. Looking for more inspiration for Easter Hats and Bonnets to Make with Kids then check out our Ideas to inspire you. One sure way to make a great impression with relatives is to send something of your little ones to them and these hand print chicks from A Little Pinch of Perfect would do the job perfectly. Let your kids explore this fun painting technique and create their own masterpieces with this Q-Tip Painted Easter Eggs from No Time For Flash Cards. 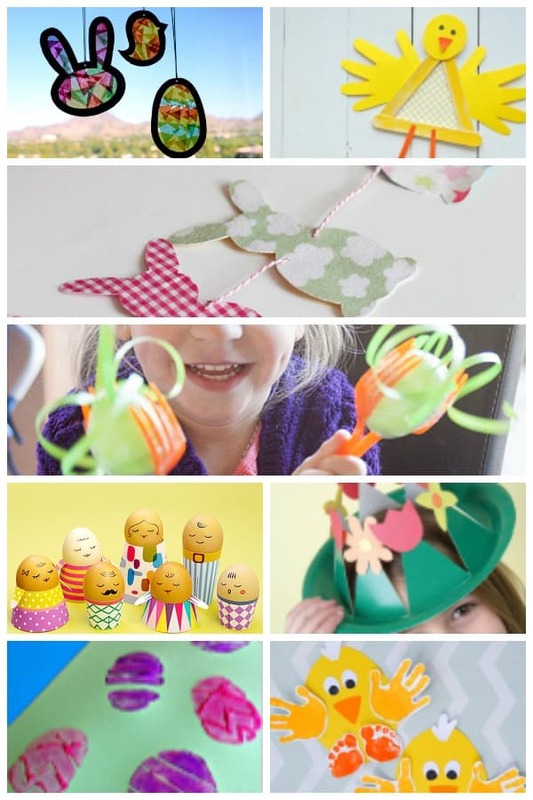 More of a simple craft for you to do for your toddler but worthwhile for Easter morning create these Egg People Easter Eggs with the free printables from Mr Printables.